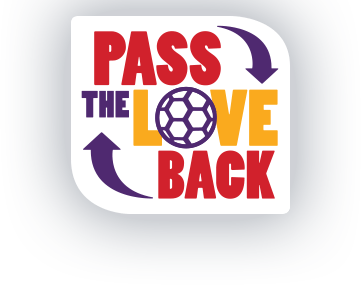 Today I’m sharing my family’s passion to support our local youth soccer teams with the Pass the Love Back program. This post was sponsored by Mondelez International as part of an Influencer Activation for Influence Central. I received compensation as a thank you for my review. How do you Pass the Love Back for your local youth soccer team? As a parent, there are certainly many ways that I support my favorite soccer player. My son will be entering his 4th year of soccer this fall, and it always amazes me how much he grows in one season. From learning the rules of the game to sportsmanship, teamwork and even life lessons, I know soccer goes beyond the field. Being a soccer mom means lots of cheering from the sidelines, snack duty and of course big ole sweaty hugs! But did you know that we can do more? 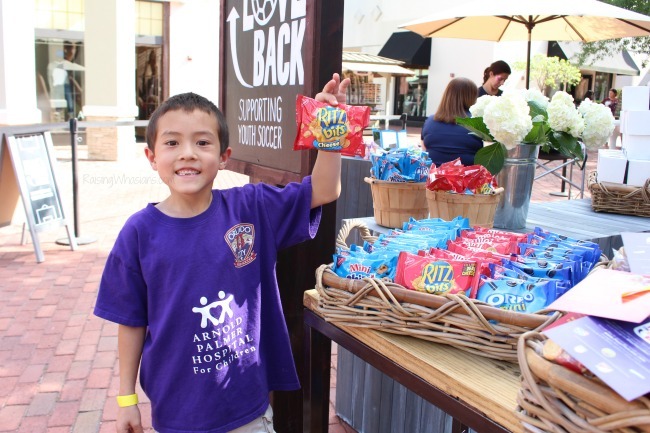 Check out how you can support your local youth soccer team with Mondelez International, the maker of OREO cookies, RITZ BITS crackers and CHIPS AHOY! cookies Multipacks, and the Pass The Love Back Program. 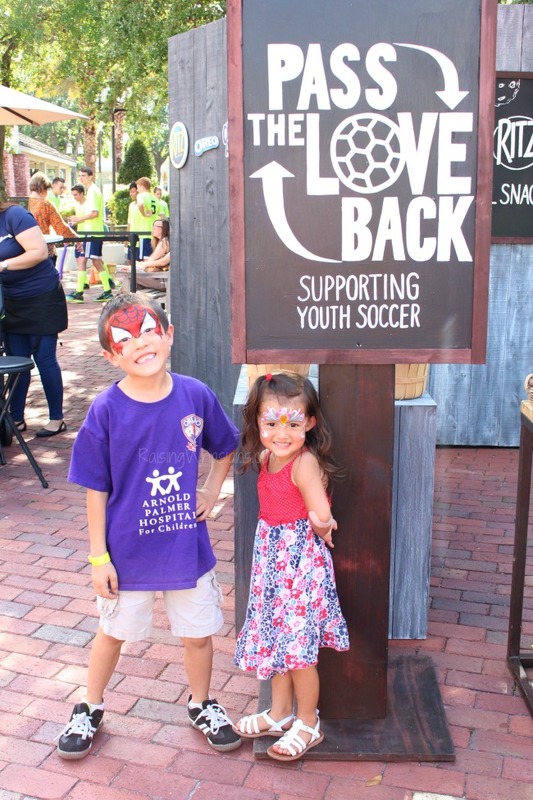 Plus check out photos from our local Orlando Pass The Love Back Bake Sale with soccer star Alex Morgan. Your local youth soccer team can earn up to a $1,000 sponsorship! I have such a soft spot for companies that give back to the local community. 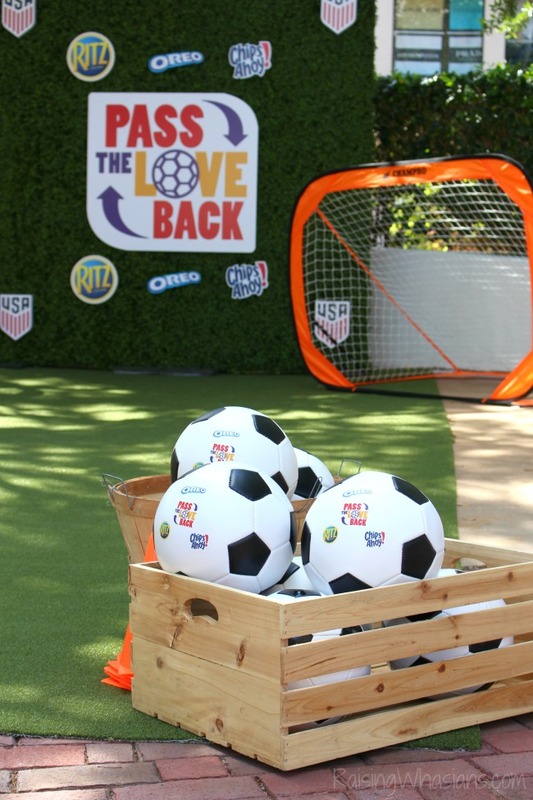 Recently, Mondelez International, the official snacks of the U.S. Soccer and Major League Soccer stopped by Orlando for a special event. 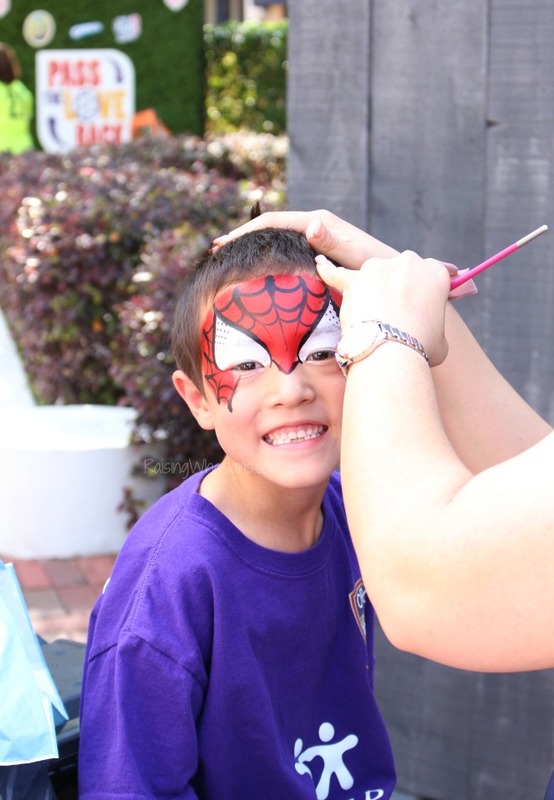 The Pass The Love Bake Sale was the perfect opportunity for the community to connect with Orlando’s own Alex Morgan and enjoy face painting, balloon animals and of course delicious OREO cookies, RITZ BITS crackers and CHIPS AHOY! cookies Multipacks. 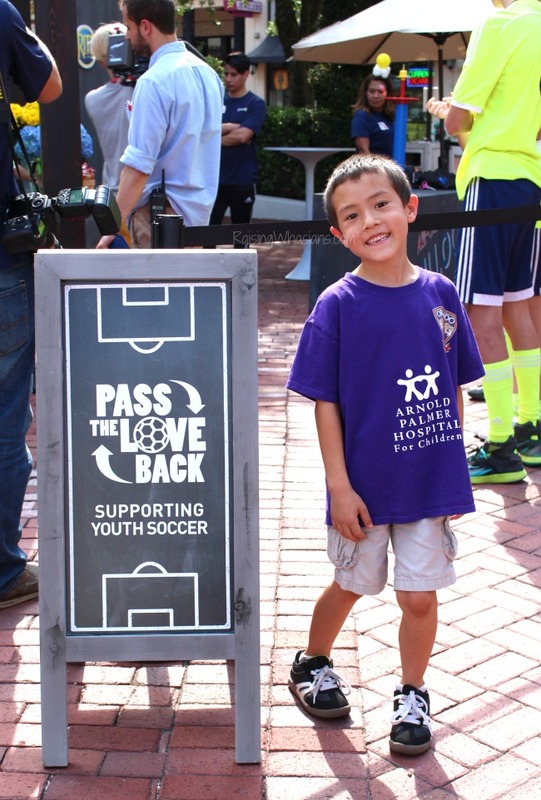 I-Drive was hopping with activity that, all raising awareness about the #PassTheLoveBack campaign and the support of youth soccer leagues right here in Orlando. My kids loved interacting with the different stations throughout the bake sale. 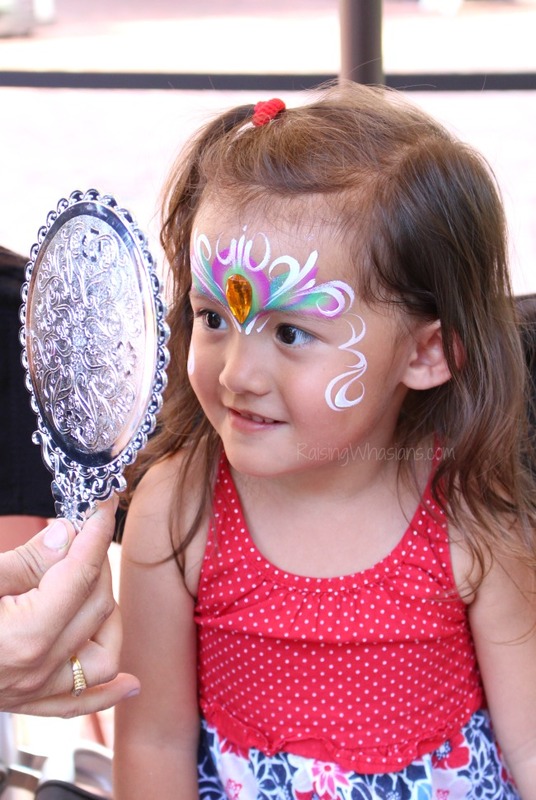 How cute did their face painting come out? While we as soccer parents do everything that we can for our little sports stars, many youth soccer teams often have to find their own ways to raise money and support for much needed equipment, uniforms and resources. By raising awareness about the #PassTheLoveBack campaign, Mondelez International aims to bridge the divide and connect teams with enhancements. And you can help. All throughout April and through May 31, youth soccer teams can visit www.PassTheLove.com to earn up to $1,000 toward custom T-shirts or a team donation. *Please note: Only soccer teams will be eligible to apply for sponsorship. 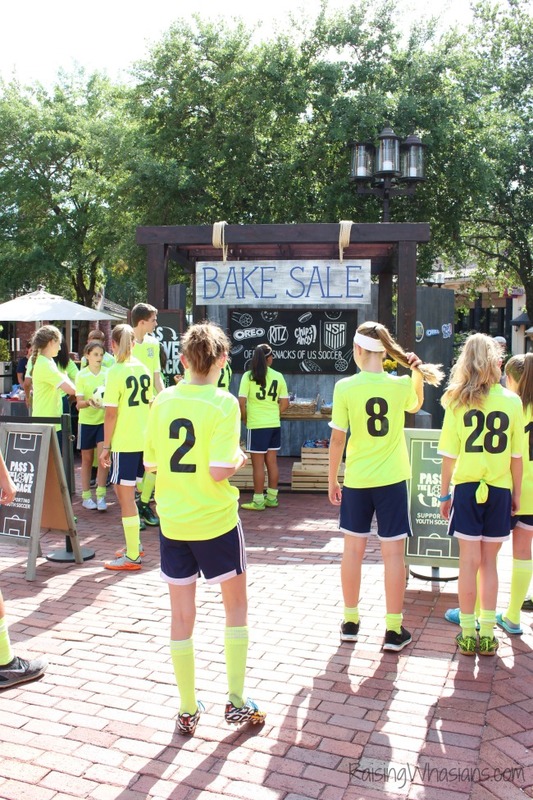 Can you imagine how much $1,000 can mean to a youth soccer team in your hometown? Youth Soccer means so much learning, loving and childhood memories that last a lifetime. Consider supporting and spreading the word about the Pass The Love Back Program at www.PassTheLove.com to get your local team signed up for a $1,000 sponsorship before the May 31st deadline. And be sure to pick up OREO cookies, RITZ BITS crackers and CHIPS AHOY! cookies Multipacks, now available at retailers nationwide. How do you support your local youth sports teams? Be sure to follow Raising Whasians via Facebook, Twitter, Google, Instagram, Pinterest and YouTube for more family memories, kids crafts, easy recipes, travel and more. Aw, that’s nice Mondelez did that, Pass the Love sounds like a great program to spread the word and also give back to the community.